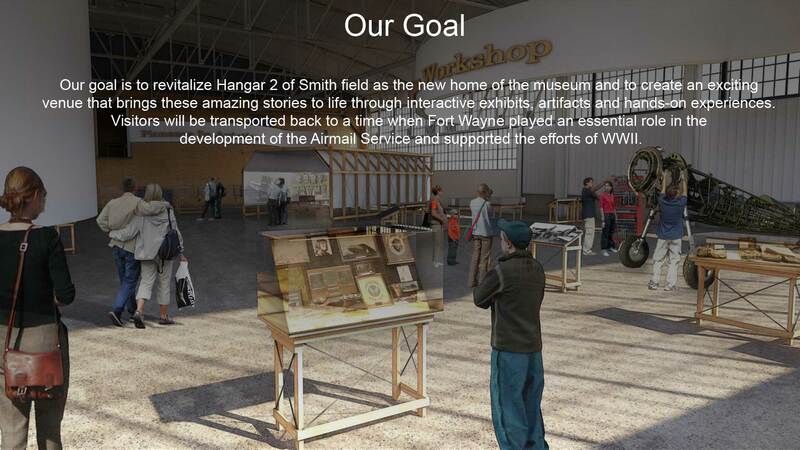 Our goal is to revitalize hangar 2 of Smith Field as the new home of the museum and to create an exciting venue that brings these amazing stories to life through interactive exhibits, artifacts and hands-on experiences. Visitors will be transported back to a time when Fort Wayne played an essential role in the development of the Airmail Service and supported the efforts of WWII. By Rachel Sherwood Roberts whose biography of Art Smith will be published by McFarland & Company. Art Smith wasn’t shy. Wasn’t shy or backward about anything, especially his dream. Art Smith wanted to fly. He’d read and heard about the Wright brothers, and although he didn’t know a thing about flying, he knew he could learn. True, he had no plane, no friend with a plane, no benefactor-had never even seen a flying machine, in fact-but still his dream spurred him on. The year was 1909, and it had been only six and a half years since Orville and Wilbur Wright had first flown their machine. American aviation-mostly a matter of experimentation by single individuals in backyard sheds and barns-was just beginning. No one knew about airports, control towers, or radar. There was no such service as air mail.